This is a short guide to get you started using MonoDAQ-U devices. If you are using MonoDAQ-E devices, follow this guide instead. 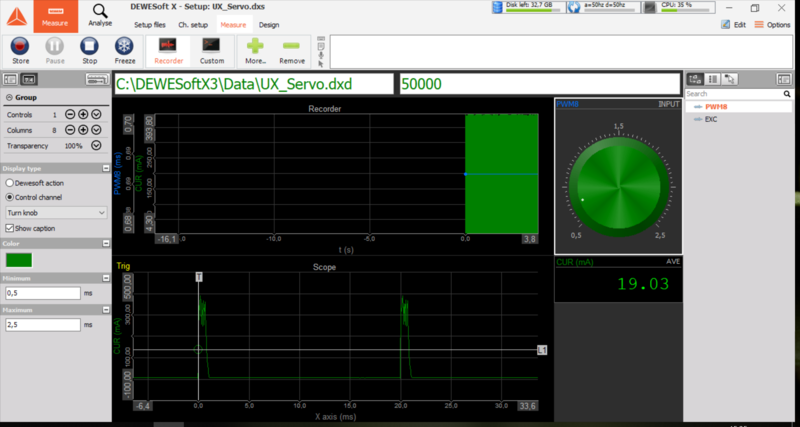 MonoDAQ-U-X is a multifunctional data acquisition device that is supported in DEWESoft software. MonoDAQ-U plugin for DEWESoft is needed for communicating with the device. The device cannot operate together with DEWESoft data acquisition devices. 2. Unpack and install DEWESoft by running the »DEWESoft_X3_Installer…exe« and following the instructions. Preferrably the software should run on a Windows 10 platform. If Windows 7 or 8 is used, additional USB driver may need to be installed. It is located in the “MonoDAQ-U USB driver (Win7 only)” folder. You can install it by opening the Windows Device Manager and looking for a device with a yellow exclamation point. Right click on it and click on the “Browse my computer for driver software”. Enter the location of the driver files, click Next and follow further instructions. 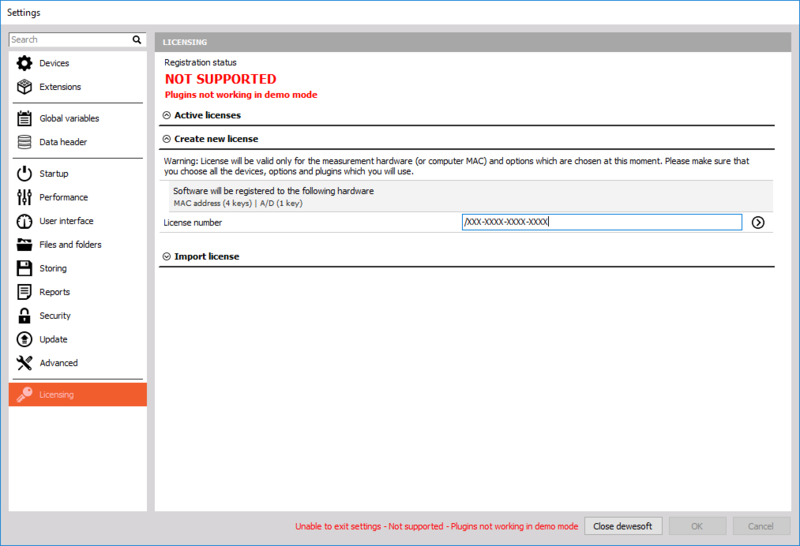 Note: If you already have the DEWESoft software installed on your PC and did not use it with MonoDAQ-U devices before, you don’t need to do the full installation as described above. 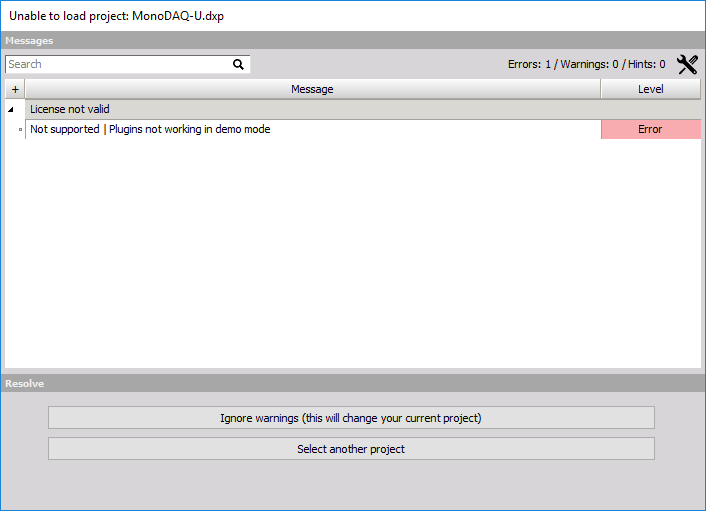 Make sure that you are running DEWESoft SP6 or newer and download the MonoDAQ-U plugin files from the locations below, unpack and copy the contents (monodaq-u.dll + additional files) into your DEWESoft/Bin/Addons folder and then enable the plugin in DEWESoft. 3. 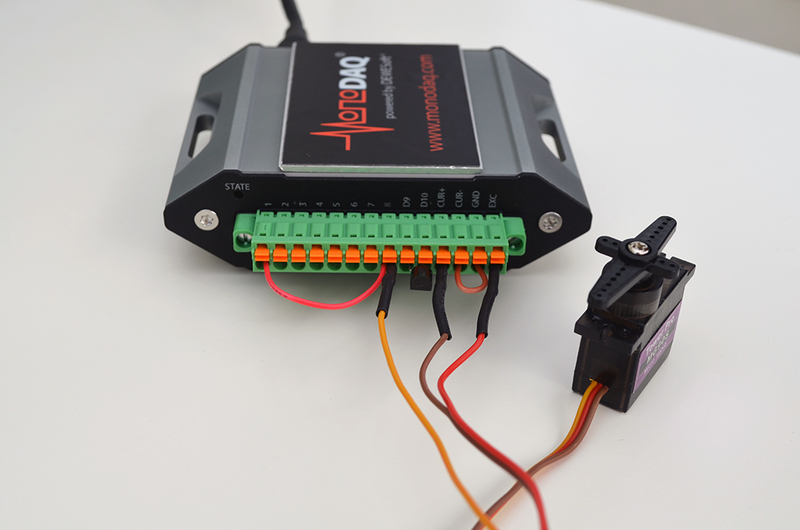 Connect the MonoDAQ-U device with the attached USB cable (USB-C to USB-A cable is supplied as standard with the device) to the PC. A plugin tab with MonoDAQ logo should appear in Channel Setup next to the Math module. 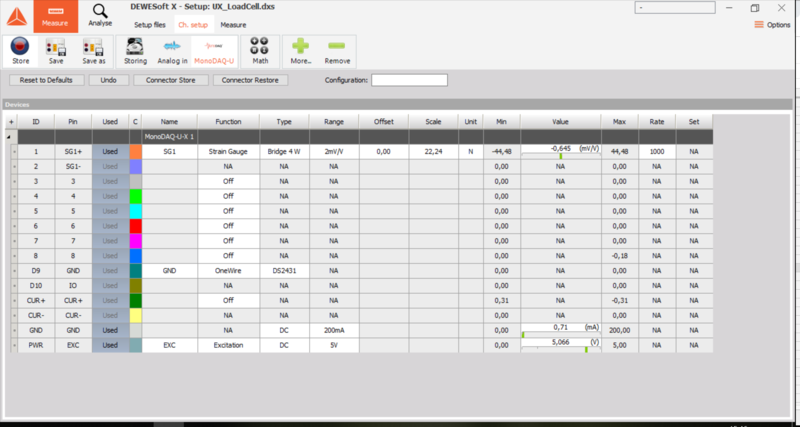 Click on it to display the configuration screen of the MonoDAQ-U-X device. When the device is connected over USB, the configuration table will appear. Upon launching DEWESoft X3 software a warning might appear which tells you that you don’t have the license to run plugins. If those files are not located directly in the Addons folder, there might be another MonoDAQ-U folder inside the Addons folder where those files could be located (in newer DEWESoft versions). 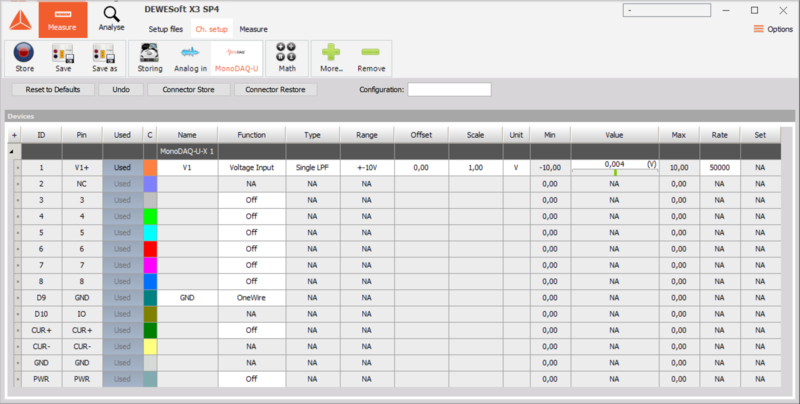 Front end of the MonoDAQ-U-X device can be configured in many different ways. Since the pins labelled 1 to 8 on the front panel can be either analog or digital, inputs or outputs, the configuration table helps the user to configure them. Each pin is configured starting with the Function column. Depending on the chosen function (voltage input, voltage output, thermocouple input, strain gauge input etc. ), the Type column provides available types of that function (single ended, differential etc.) and the Range column provides the available input / ouptut ranges. The Pin column of the table tells the user what should be connected to each pin depending on the configuration. The ID column shows the pin designations that are also written on the front plate of the device, therefore the ID column never changes. The table will always display only the options that are available depending on the previous selections. For example, if Voltage Input – Differential is chosen on pin 1, the Function of pin 2 is greyed out since it cannot be assigned to anything else. The negative wire of the measured signal for that channel should instead be connected to the pin 2. 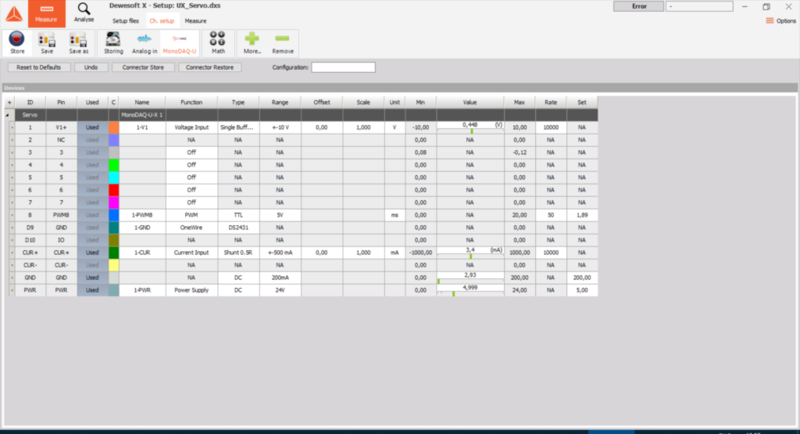 The available Range and Sample Rate (Rate column) settings for each channel also depend on the previously chosen settings of other channels, therefore not all ranges and sample rates are always available. Refer to the data sheet of the instrument to see the list of its capabilities. There are the »Undo« and »Reset to Defaults« buttons available at the top of the table to help the user moving through the configuration steps. 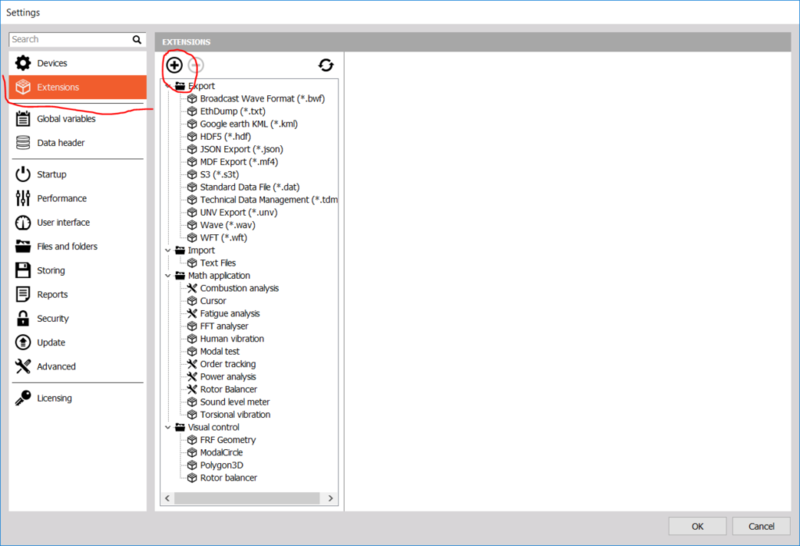 When channel configuration is complete the measurement can be started by clicking the Measure tab on the top of the DEWESoft window. The device self-checks (and self-calibrates) after each configuration change. While device is self-checking, it is not ready to acquire data. This normally takes 1-2 seconds, but it can take a bit longer at low sample rates. 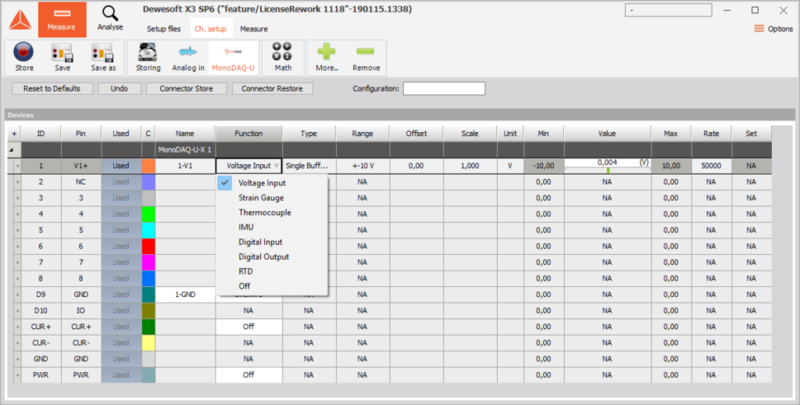 When device is not ready for measurement, it does not display the values in the Value column of the channel configuration table. If you try to enter Measure mode in DEWESoft while device is still self-checking, the software will refuse to enter the measurement and display an info pop-up. In this case wait a few seconds and enter the Measure mode again. It is possible to save the full configuration of a device to the 1wire EEPROM chip. The EEPROM chip, typically a DS2431, should be connected between pins D9 and D10 while the Function of D9 is set to “1wire”. With the chip in this position, clicking “Connector Store” will save the configuraiton of the device to the chip. When the front connector with this chip is inserted into the device, it will automatically configure itself into the saved configuration. The stored parameters include full front end configuration of the U-X device, but they do not include the scaling factors and unit. The name of the configuration to be saved can be entered into the Configuration text field on top of the table. After any of the pre-configured connectors is connected to the device, the channel configuration grid configures itself accordingly. There are also DEWESoft setup files (.dxs) prepared for those three cases that include the configuration of the displays. The picture below shows a compression load cell connected to the MonoDAQ-U-X in full bridge measurement mode. After plugging in the connector, the channels set themselves up automatically. Figure below shows how the channel grid looks like to interface the full bridge load cell. There is also a scale factor in there to scale from mV/V to N (force), but it is based on approximate numbers from the load cell data sheet. There migh also be an offset of the initial value that you can adjust by typing in the Offset column. The load cell should be calibrated for the specific application if very accurate measurement of force is neccessary. If the scale factor is set to 1, the channel will show values in mV/V which are accurate according to the U-X front end specification. On top of that the prepared DEWESoft setup file (.dxs) can be loaded that adds preconfigured displays in the Measure mode. The setup can be downloaded here. Unzip it and load it by clicking DEWESoft logo in the top left cornet of the screen and choose “Load Setup”. The display in Measure mode should look like in the figure below. Pressing on the middle of the circular part of the load cell should clearly indicate the load. Mind that it is not mandatory to load a setup. You can directly go to the Measure mode and you will be able to see a basic recorder. You can make your own screen in a few clicks. Learn more about how to set DEWESoft displays here. The picture below shows a T-type thermocouple connected to the U-X device. After plugging in the connector the first channel is automatically set to thermocouple T type input. A similar setup as for the load cell can be also loaded for a thermocouple, it can be downloaded here. Temperatures up from -260 to 400 degC can be measured with a T-type thermocouple. Simply submerge the end point of a thermocouple cable into boiling water and observe the measurement. 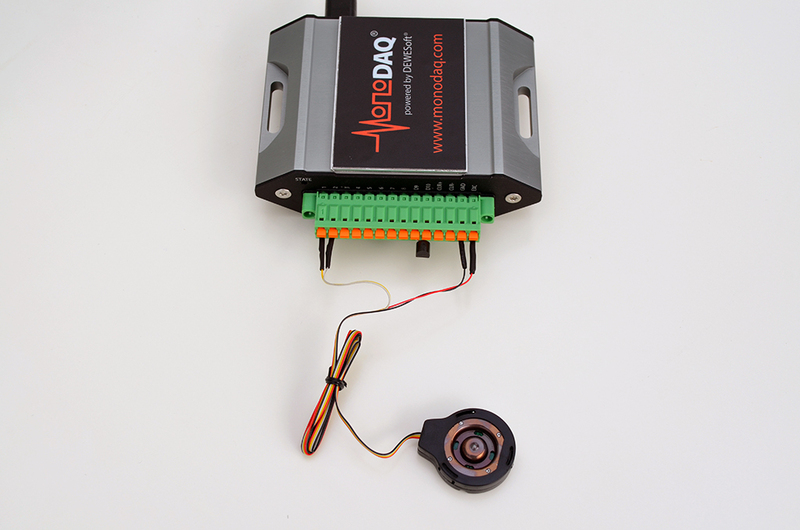 A low power servo motor can be powered and controlled by the MonoDAQ-U-X device. Picture below is showing such a servo connected to the U-X device. Connecting the servo motor connector makes the channel setup look the most complex of the cases presented here. 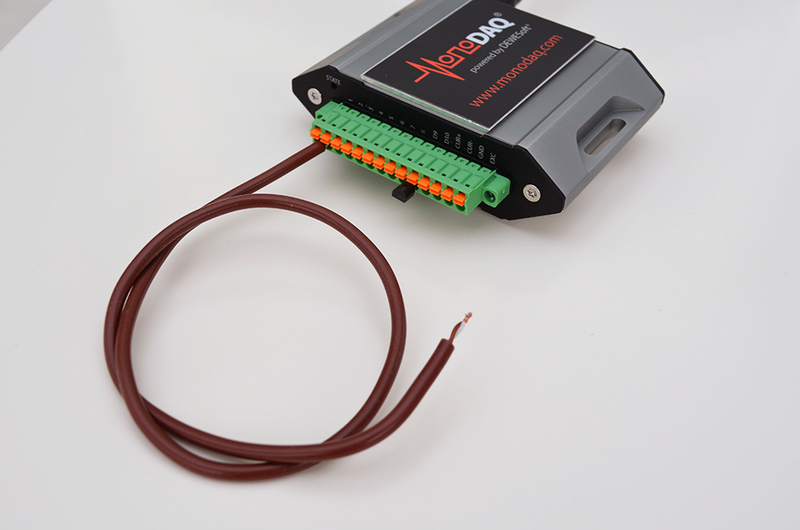 It sets the excitation to 5 V which powers the servo with up to 200 mA continuous current. Pin 8 is set as PWM digital output and controlls the servo. 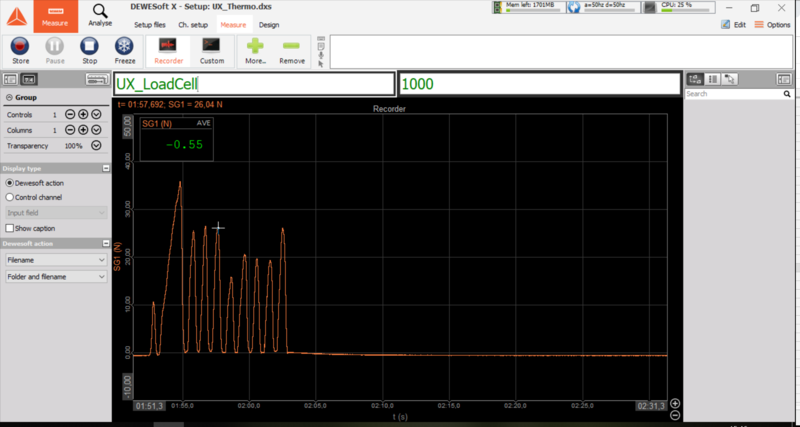 Looking at the Rate column, the “50” entered there means 50 Hz PWM. Value under Set is the pulse width in miliseconds: this controls the position of the servo with 0 ms setting it to 0 deg and 2 ms moving it to 180 deg or 90 deg, depending on the servo type (with some servos it is 0.5 to 2.5 ms). This can be tested in channel setup by changing the Set value. The display setup can be downloaded here. It sets a control channel that controls the Set value to a turn knob that you can rotate and thus control the rotation. On the bottom of the screen there is a scope showing the current supply to the servo on a PWM signal measured with 50 kS/s. It clearly shows the duration of the pulse. The digital meter below the turn knob shows the current averaged out over 0.5 seconds. The USB-C connector connects the device to the host PC/Linux/Mac/Android device. It provides power to the U-X device (5 V USB power supply) and digital communication interface. The USB port on the host side can have USB type-A, type-B or type-C connector. 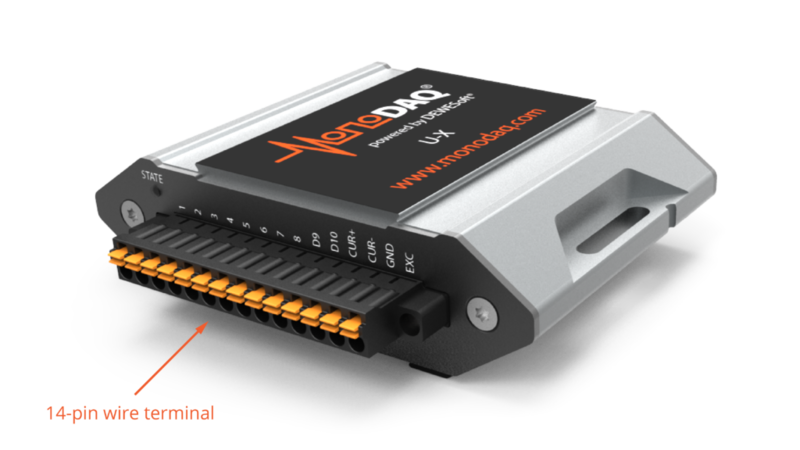 Type-A host connector is assumed, therefore a type-C to type-A (0.9 m / 3 ft) cable is supplied as part of the standard MonoDAQ-U-X package. If different type of cable is desired, contact MonoDAQ support before ordering the device. The cables supplied from MonoDAQ are tested for appropriate power wire thickness to ensure good power supply to the device and proper shielding of the wires. The port on the host PC needs to provide 500 mA of current (USB 2.0 standard) for the device to operate properly. The front side connector presents the analog/digital front end interface to the device. All the pins on the connector are galvanically isolated from the USB. Most of the pins are multi-purpose and can be configured as analog or digital, inputs or outputs. This is achieved by changing the internal wiring of the pins programatically. Therefore many front end configurations can be set from software interface using the same firmware on the device. Odd pins (1, 3, 5, 7): feature an additional buffer in front of the ADC which also incorporates a voltage divider. Only those pins provide +-10 V and +-5 V input ranges. To use the buffer, the type of the pin needs to be set to Buffered (LPF in earlier SW versions) in the configuration table. This means we can have maximum of 4 single ended buffered inputs or maximum of 2 differential buffered inputs. The buffered pins also feature an additional anti-aliasing filter, therefore it is advisable to use buffered inputs when only one analog input on the device is used. If multiple analog inputs are used, the inputs are multilexed and therefore not alias-free even in the buffered mode. The purpose of those pins is to provide 1wire, I2C, UART or similar interface, but they can also be configured as general digital inputs / outputs. In any case a maximum of 8 digital inputs / outputs can be configured on the device at once. There is a current-sensing shunt resistor between those pins (0.5R or 1k), which makes them current input pins. Current loop should be connected through those pins and the voltage drop on the shunt resistor is measured internally. The LED light helps the user understand what state the U-X device is in. Green flashing fast (twice per second): device is processing a user command, like changing configuration. This helps detect which device the user is interfacing with when multiple device are connected. Any click inside the device channel table will cause the fast green flashing. M3 pan head torx screw on the back side of the device denoted with Earth symbol provides connection to the chassis. The chassis can be earthed to the local earth terminal. In general it is advisable to earth the chassis to be better protected against disturbances.